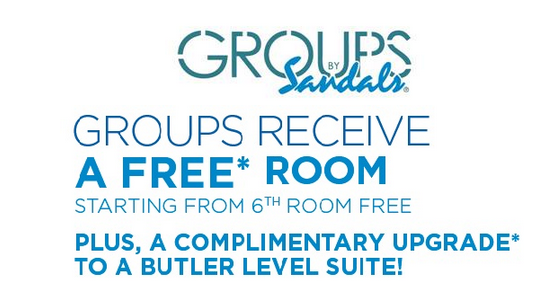 Sandals & Beaches Announce New Group Promotion -- 6th Room FREE + Complimentary Butler Suite Upgrade! Whether you are celebrating a destination wedding, a long-awaited family reunion, or an important corporate event, Sandals and Beaches has a resort that’s right for you! 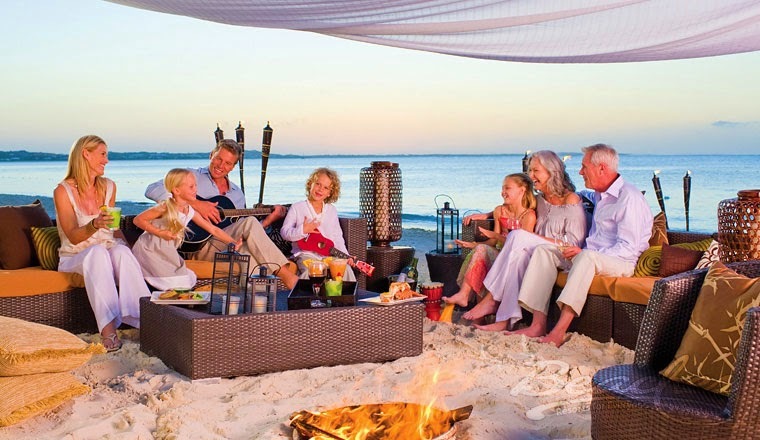 With attentive staff, spectacular facilities and breathtaking locations, these resorts are the ultimate retreat for your group. 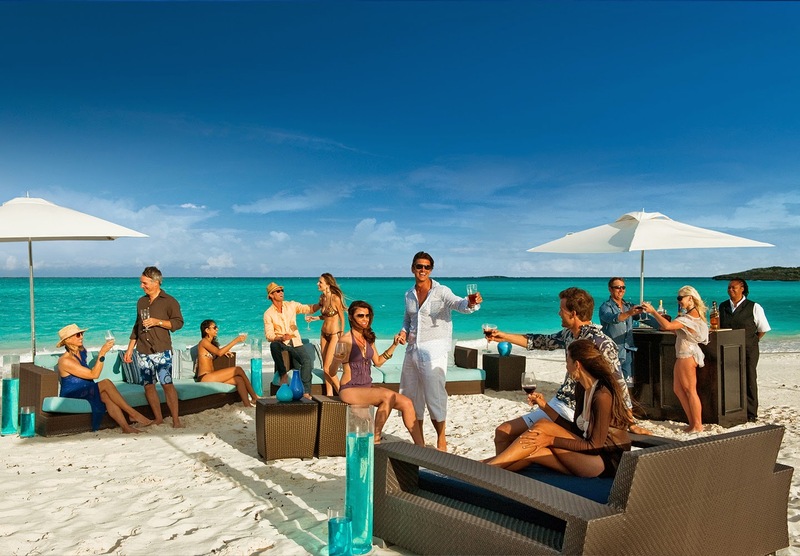 More than just all-inclusive, Sandals Resorts and Beaches Resorts offer the Luxury Included® Vacation experience with exciting amenities specifically tailored to your group. A variety of flexible indoor and outdoor function spaces plus our dedicated Sandals Certified Specialist teamed up with their staff on hand to help you plan your event from start to finish, will make sure that your event at Sandals or Beaches will be a stunning success. 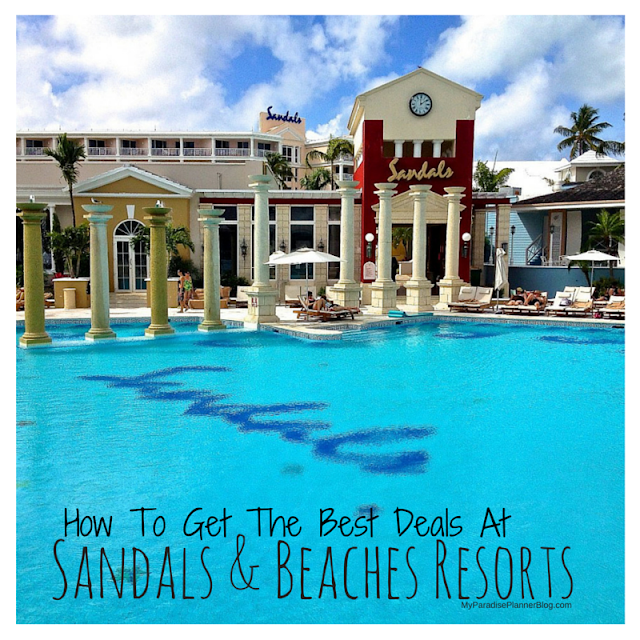 To take advantage of this offer or get more information, contact one of our Sandals and Beaches Resorts Certified Specialists at SandalsSpecialist@myparadiseplanner.com or 1-888-373-3677. *Offers valid on new group bookings as of September 1, 2014 until further notice for travel September 1st, 2014 - December 21st, 2016. Free room offer ranges from 6th room to 20th room and varies by resort and travel date. Maximum 3 complimentary room credits per group booking. One (1) Butler suite category upgrade based on 12 paid rooms with the entry level butler category being available at the time of booking. Other restrictions and blackout dates may apply. Offers are subject to availability and are capacity controlled. Offers can be changed or withdrawn at any time without prior notice. Multiple offers and promotions for complimentary rooms are not combinable. Sandals® and Beaches® are registered trademarks. 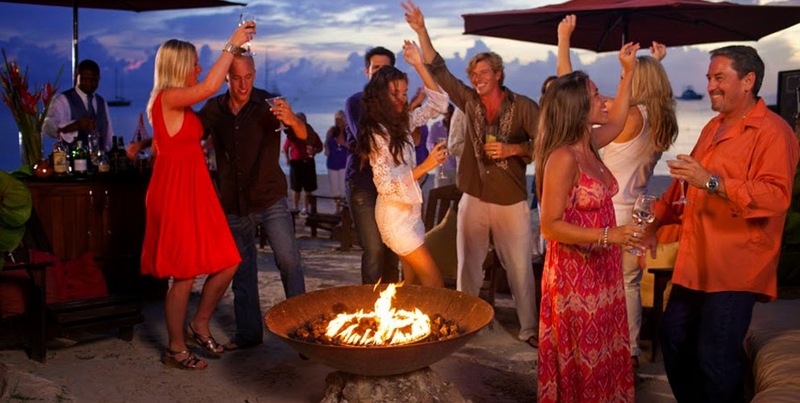 **This post was written by Sandals Resorts and shared from their travel agent newsletter. Are River Cruises Worth The Money?